Dr. Jordana Szpiro, DPM, FACFAS was raised in Southern California. She obtained her Bachelor of Science in Biology from the University of California at Irvine. After graduating, she went on to receive her Doctorate of Podiatric Medicine from the California College of Podiatric medicine. Dr. Szpiro then completed her residency at Weill Medical College of Cornell University in New York City. During her residency, she advanced her education in the surgical management of common foot disorders including bunions, bone spurs, neuromas, and heel spurs. As an established Boston podiatrist, Dr. Szpiro is board certified in Foot Surgery. She is a Diplomate of the American Board of Podiatric Surgery and a Fellow of the American College of Foot and Ankle Surgeons. Dr. Szpiro is a frequent lecturer and has spoken at various events, such as the APMA Annual Scientific Meeting where she discussed the use of lasers in treating toenail fungus. She will soon be discussing Sports Medicine at one of Boston’s prominent athletic clubs. Dr. Szpiro is affiliated with Hallmark Health, Mt. Auburn Hospital, Cambridge Health Alliance, Melrose Wakefield and Lawrence Memorial Hospital in Medford. 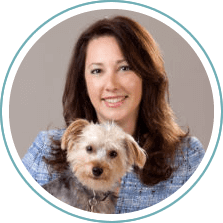 Dr. Szpiro has accumulated extensive clinical and surgical experience throughout her career and is knowledgeable in working with patients of all ages. Living an active lifestyle herself through ballet, running, squash and skiing/snowboarding, she is particularly sensitive to the toll that athletic activities can take on one’s feet. Dr. Szpiro hopes to take her experiences and apply what she’s learned to providing patients with comprehensive and quality care. Dr. Kurtz Phelan, DPM, FACFAS, a New York native, has been practicing in New England since 1999. After obtaining her Bachelor of Science from Fordham University, she went on to receive her Doctorate of Podiatric Medicine from the Temple University School of Podiatric Medicine. Dr. Kurtz Phelan completed a three year surgical residency program at Botsford General Hospital in Farmington Hills, MI, and an AO/ASIF international trauma surgery fellowship at Allgemeines Krankenhaus in Vienna, Austria. Since 1999, Dr. Kurtz Phelan has been practicing in the New England area, managed her own private practice for several years in Maine, and more recently worked as the foot and ankle specialist in a busy orthopedic practice. Dr. Kurtz Phelan enjoys treating patients of all ages with a special interest in sports medicine and reconstructive surgery. She is board certified by the American Board of Foot and Ankle Surgeons, has held board certification as a wound specialist, and holds affiliations with professional organizations such as the American Podiatric Medical Association, Massachusetts Podiatric Medical Association and is a diplomate if the American College if Foot and Ankle Surgeons. Dr. Kurtz Phelan’s qualifications also include being a Master Surgeon in Extraosseous Subtalar Arthroeresis and in Arthrosurface joint replacement techniques. She spent 7 years as a physician member of the Board of Health in the City of Lynn. Dr. Kurtz Phelan is on staff at Lahey/Beverly Hospital and Lahey Outpatient Center Danvers. She lives in Lynn with her husband, two sons, and cocker spaniel. She enjoys traveling, yoga, and living near the beach. Dr. Kurtz Phelan speaks Hungarian and Spanish. Ms. Francoeur is the office manager and oversees office practice procedures, practices and marketing. Prior to joining Boston Common Podiatry, Skin & Wellness, Ms. Francoeur was an executive assistant at Clifford Projects and before then she was the office manager at Crescent Heights, both in Honolulu, Hawaii. 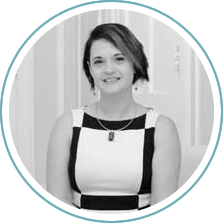 She brings her skills in office management, customer service and marketing to the Boston Common Podiatry, Skin & Wellness practice. Patrice Stewart graduated from SUNY Binghamton with a Bachelor of Science in Nursing. She has practiced in a variety of medical and surgical specialties including Dermatology and Emergency Nursing. Patrice specialized in Dermatology during her seven years as Clinical Nurse Leader at Tufts Medical Center’s Dermatology Department. At Tufts, Patrice collaborated with Dermatologists, Mohs surgeons and residents to provide state-of-the-art comprehensive dermatological care. She developed practice standards, worked in melanoma and psoriatic research, conducted patch testing, cared for a variety of dermatological disorders and implemented the clinic’s new infusion center. She is particularly interested in preventative measures when treating aging skin. Patrice advanced within the field of medical aesthetics by building upon her solid dermatology background. She practiced at For a New You Med Spa administering aesthetic procedures such as chemical peels to rejuvenate the skin, botulinum toxin for the treatment of dynamic wrinkles, dermal fillers for deeper rhytids and volume loss and laser to stimulate collagen and treat dyspigmentation. Cosmetic procedures allow Ms. Stewart to incorporate her love of dermatology with the artistic flair of aesthetics. Our team of Medical Assistants carry out both clinical and administrative tasks to ensure that the practice is running smoothly. Many of our Medical Assistants are students who are interested in pursuing careers in the medical field. We provide our team of Medical Assistants with clinical training and experience in health care administration that can be used to further their careers. 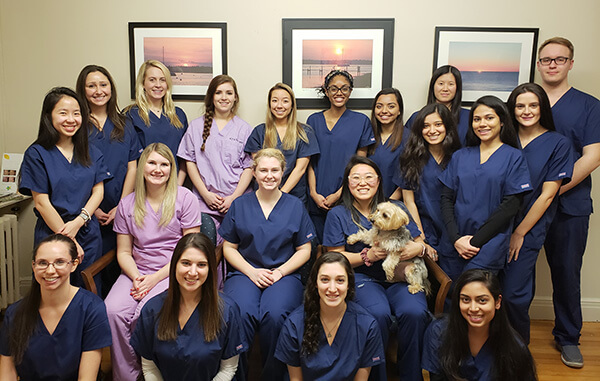 Boston Common Podiatry, Skin & Wellness works closely with Boston University to provide internships to its students. Our very own Dr. Szpiro mentors students participating in our internships. Our team currently consists of 15 Boston University students and 1 alumni.